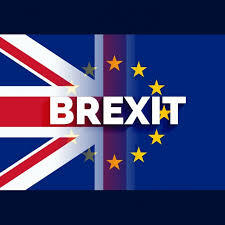 Since the 23 June Brexit is in the spotlight in all European Union countries. On this day a referendum was held. In it British people had to decide whether UK is leaving EU or not. Here’s why they called it “Brexit” – British and exit. The outcome indicated that “Leave” won 52% to 48%. Although, the result was not the same across the UK. England and Wales favoured Brexit, but Scotland and Northern Ireland voted “Remain”. So, opinions are divided. English people, who voted “Leave” feel really optimistic about the future of their country. It seems that they want to break free from the EU membership fees. However, the attitude of Scots is totally different. They want to conduct the second referendum in which Scottish people will decide if they want to make Scotland an independent country or not. Then, if they become independent, they will apply for EU membership. Meanwhile, the Northern Ireland is allegedly planning to separate from Britain and unite with Ireland. So, both Scots and the Irish feel hope for the new future. And what impact does Brexit have on Polish people, who in great numbers live and work in UK? Well, probably many of them will come back to Poland as the hostility and even racism has recently intensified or they’ll manage to stay there still and all. After all the Brexit process is going to last at least two years. We’ll see what will happen by that time. This time of the year finally came. We had to go back to school. For some students it is a very happy time, because they can meet their classmates after summer holidays. For others, what’s to come is challenging because they can learn new things. For the first year students it is just the beginning…., for some it is the last year of their education in Kopernik High School…. But I think most of students wish holidays were at least one month longer because they enjoyed their holidays a lot. Regardless of attitude towards school, on 1st September everyone came to school with a smile. We hope that this school year will be great for us! Good luck!